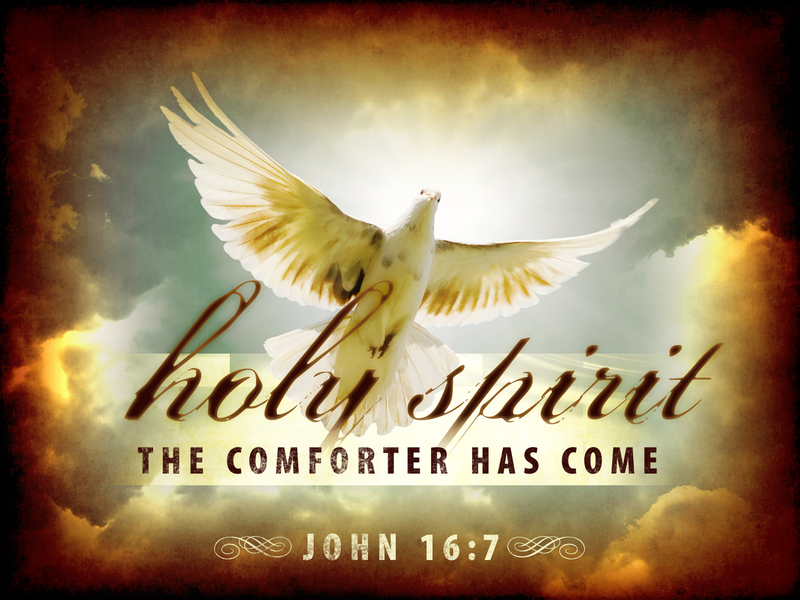 Myss Lafunky's Blog: Is the Holy Spirit Transforming Your Life? Happy New Week. How was your weekend? Hope it was lovely. This week's post was triggered by a discussion that I had with a sister of mine who is currently reading a book about the Holy Spirit. We had a jamming session via WhatsApp and in person about the role of the Holy Spirit in the lives of a Christian. Since you were not part of our discussion, I didn't want you to miss out on the lessons from our discussion. So, the question is: "Is the Holy Spirit transforming your life? Has He transformed my life?" Since I gave my life to Christ, the Holy Spirit has played a major role in my life through helping to find things that I had misplaced, comforted me divinely when I was emotionally down, and revealed things to me. It's usually mind-blowing when the Holy Spirit reveals things that haven't occurred to me. If you love me, you will keep my commandments. And I will ask the Father, and he will give you another Helper,[a] to be with you forever, even the Spirit of truth, whom the world cannot receive, because it neither sees him nor knows him. You know him, for he dwells with you and will be[b] in you . . . These things I have spoken to you while I am still with you. But the Helper, the Holy Spirit, whom the Father will send in my name, he will teach you all things and bring to your remembrance all that I have said to you. - A Helper who will be with us forever. He does not go away. - He teaches us all truth. He can never deceive us. - The Holy Spirit teaches us all things. - The Holy Spirit brings things to our remembrance. - The Holy Spirit brings the Word of God to our remembrance. Apostle Paul in the bible dogmatically states that if we do not have the Holy Spirit dwelling in us, we are not part of God's children (Romans 8:9). This therefore means that in order to have the Holy Spirit, we need to have accepted Jesus Christ our lives. Has the Holy Spirit guided you into all truth? Do you need the Holy Spirit to guide you? Ask him for directions today. 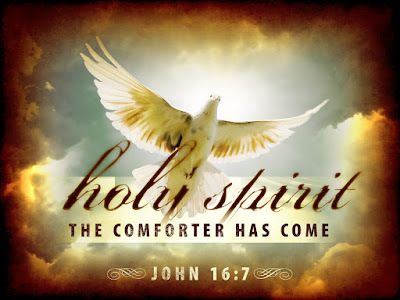 Sometimes, Christians minimise the role of the Holy Spirit as the comforter, we sometimes believe in Psychiatrists and Psychologists report when it comes to healing from separation, death, loss, among others. Christians should depend on the Holy Spirit; He can comfort us within a twinkling of an eye and when He does it, a large number of people would be awe by the way we have been healed. I am a living example of the comfort of the Holy Spirit. I had an experience which could have led to depression or which may have taken years for someone to recover but the way the Holy Spirit comforted me left a large number of people in shock about my recovery. Nevertheless I tell you the truth. It is expedient for you that I go away, for if I go not away, the Comforter will not come unto you; but if I depart, I will send Him unto you. (John 16:7). He comforts us in all our troubles so that we can comfort others. When they are troubled, we will be able to give them the same comfort God has given us. (2 Corinthians 1:4). The Holy Spirit selects some people to guide you, teach you, help you, comfort you and He also uses the people to confirm the truth He may have told us. There was a time the Holy Spirit had shared some information with me, He told me continuously, however, what I saw in reality at the time did not corroborate the information revealed. But to my amazement, the Holy Spirit spoke through one of my work colleagues to share the same information with me. Let us therefore be conscious that the Holy Spirit can use others to help us. We must however always give God the Glory even while thanking the people that God had used. Remember, the Holy Spirit can also use you to help others. There was a time I was looking for my ring, I had looked everywhere but I couldn't find it. I decided to ask the Holy Spirit to help me and He told me that my ring was inside one of my shoes. I was not persuaded that it was there, so, I told the Holy Spirit that the ring was very unlikely to be in my shoe. Despite His help, I failed to listen, however, I eventually submitted to His help, I looked inside the shoe that He had told me, and there my ring was! - 2 Corinthians 3:18 says that "And the Lord who is the Spirit makes us more and more like him as we are changed into his glorious image." In other word, the Holy Spirit grows inside us, He renews our thoughts and attitudes and He helps us to be more like God. As He helps us, the fruit of the Spirit grows inside us (Galatians 5:22-23). - The Holy Spirit helps us to live the life of a Christian. None of us can overcome sins with our own power and none of us can show the love that God wants us to show without the help of the Holy Spirit. For if you live according to the flesh you, will die; but if by the Spirit you put to death the deeds of the body, you will live. For as many are led by the Spirit of God, these are the sons of God" (Romans 8:13-14). Having read the above, the question to you is: "Do you allow the Holy Spirit to transform your life? Are you cognisant of his presence in your life?" Ask the Holy Spirit to come into your life. Tell Him that you want to know Him more and you need Him in your life. Thank God for the Holy Spirit and His functions in your life. Ask the Holy Spirit to transform your life or your relations (tell Him their names). Also, tell the Holy Spirit what you want Him to help you with.